Jagex has just announced a new update for Runescape that gives players the power to control the future direction of their MMO experience with their new “Power to the Players” strategy. 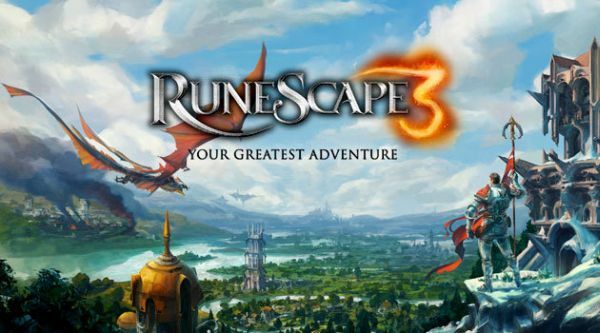 This joint effort between Jagex and the passionate RuneScape community aims to ensure the game’s continued success at grassroots level, providing member players with ongoing opportunities to shape the world of RuneScape like never before. The launch of “Power to the Players” has already seen the introduction of an in-game polling system that poses a critical, high-tier ‘Dragonstone’ question for players: ‘Invention skill vs Elf City – which do you want first?’ Both options are highly anticipated content updates, but it is up to members to decide which will be developed and launched into RuneScape later in the year. “After unveiling the Power to the Players initiative at the end of 2013, we are delighted to begin this exciting new era with the launch of the first poll. We’re eager to listen to our players and their wants, and this poll emphasises the importance we place on listening to our loyal player-base,” said Neil McClarty, Marketing Director for RuneScape. In addition to monthly ‘Dragonstone’ polls, members will also have the opportunity to take part in more frequent ‘Diamond’ and ‘Ruby’ polls. These mid- and low-tier polls will help decide topics such as which new dragon should be added into the game, and whether the spring event should be Easter-themed or not. The first poll, Invention skill vs Elf City, closes on 31st January. LeKool Games has launched the closed beta of Star Supremacy. It is simple to pick up and play, the visuals are smooth and realistic, and the leveling system adds a sense of progression.